Jennifer Pharr Davis is a hiker, author, speaker, and National Geographic Adventurer of the Year who has covered over 13,000 miles of long distance trails on six different continents. In 2011, Jennifer hiked the 2,185-mile Appalachian Trail in forty-six days, eleven hours, and twenty minutes, maintaining a remarkable average of forty-seven miles per day. By doing this, she claimed the overall (male or female) fastest known time on the “A.T.”, an accolade she held for several years. Jennifer has written six books, including three North Carolina guidebooks, two hiking memoirs called Becoming Odyssa and Called Again, and a book with her husband Brew about hiking with families. She has also written articles for the New York Times, Outside, Backpacker, and Trail Runner, and has been featured in the Washington Post, the New York Times, the Daily Beast, NPR’s Talk of the Nation and the CBS Early Show. Jennifer is a professional speaker who shares her trail adventures with corporations, conferences, schools, and libraries across the country. She is founder and owner of Blue Ridge Hiking Company, a guiding service that “makes wilderness accessible and enjoyable” for hikers of all ages, genders, and abilities. 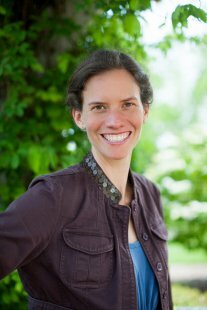 She is a board member for the Appalachian Trail Conservancy and an ambassador for the American Hiking Society and Farm to Feet. Jennifer lives in Asheville with her husband Brew and their four-year-old daughter Charley and infant Gus. “I love this state and there’s no better way to experience it than on foot. I want to encourage a love of the outdoors and help people experience this amazing hiking trail that’s right outside our back doors. I hope I can promote conservation, too, and that my walk can highlight some of the natural resources our state is blessed with, so that maybe we can work together to protect our unique landscape.